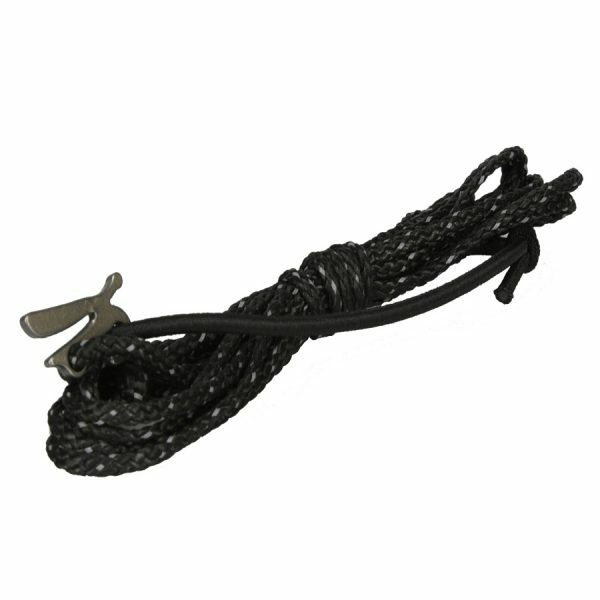 Game changerMade a huge difference in the ease of rigging up my warbonnet superfly tie outs. Highly recommended! Dutch’s bling is good stuffOrder arrived quickly, and a phone call easily fixed an error (my mistake). Dutch Fleaz go on my tarps, connected by continuous loops. Super light, easily adjustable, and did not slip in 25mph+ winds. 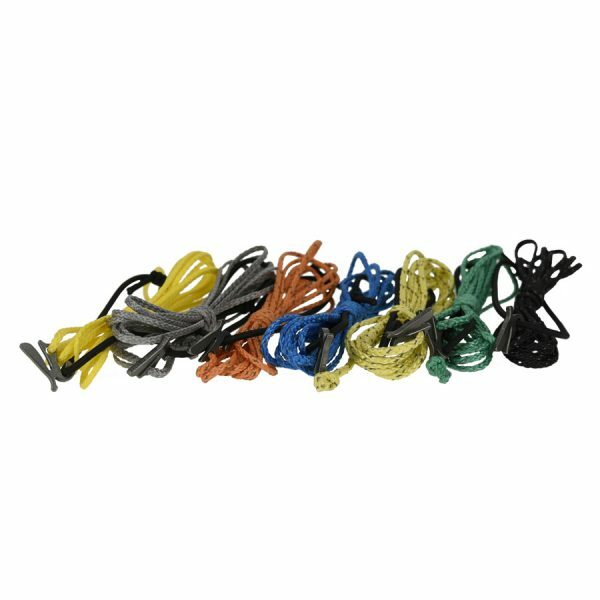 FleazConnected to a shock cord loop through the D-rings of my tarp, these are highly effective in creating quickly adjustable tie-outs for your tarp. Highly recommended! 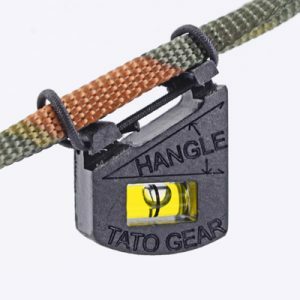 Best Tarp HardwearI’ve been using these for close to a year now – and the Fleaz are by my favorite “bling.” Does not get any easier for guying down your tarp corners – you can crank them tight, and keep it taut as you wrap line around the wing. Also, very easy to undo in the morning. 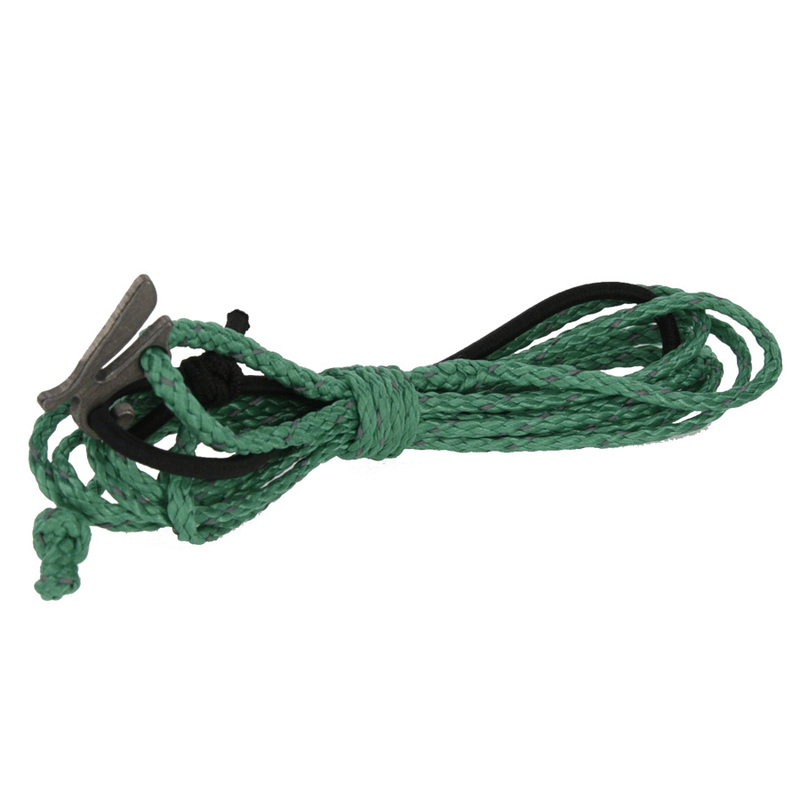 I keep these on my Superfly tarp via a larks head knot w/ shock cord (no sharp corners for damaging your tarp). I then just wrap the 6′ of zing it on the stakes. Thanks Dutch for all of your ingenuity! Perfect Use one of these on all my tarps for the CRL. 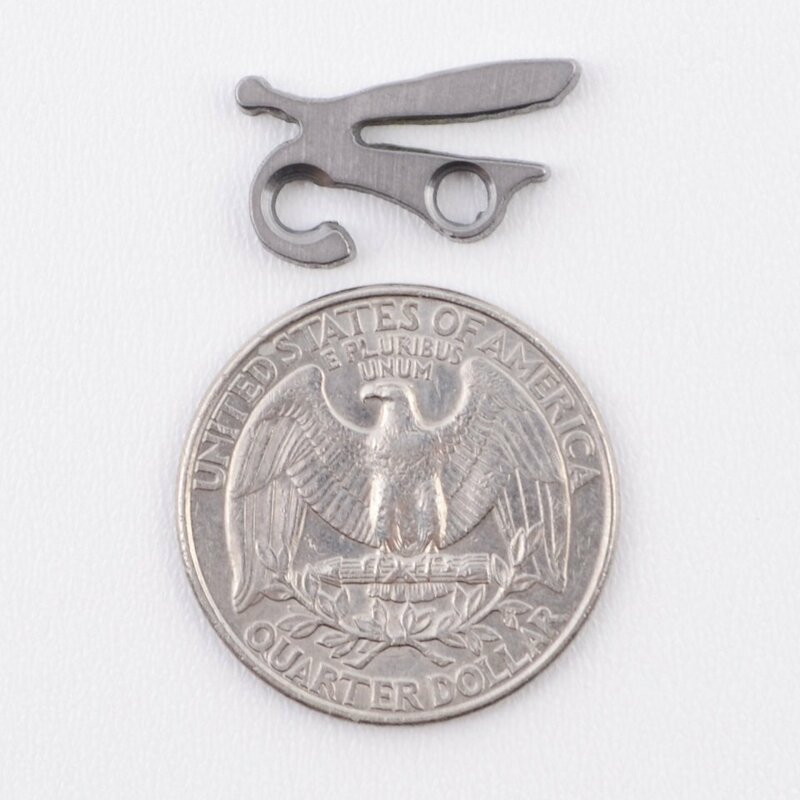 These are the kind of quality I wish I could expect from every American manufacturer!These are the kind of quality I wish I could expect from every American manufacturer! Dutch’s bling is well designed, works better than advertised, and shipped to my door in just two days. 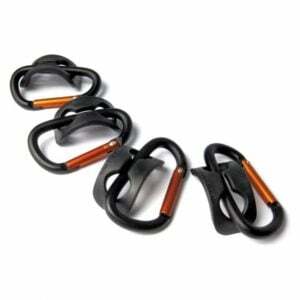 I have since recommended to several friends that they follow suit, and hammock up with some dutchware. I’m loving these, took a few set ups to realize i didn’t have to crank the line into the locking “wing” as hard as I was as this can make for removing the line a little challenging in cold weather.I’m loving these, took a few set ups to realize i didn’t have to crank the line into the locking “wing” as hard as I was as this can make for removing the line a little challenging in cold weather. My tarp held up with these and the tarp worms in 30 degree, extremely windy conditions. Highly suggest! 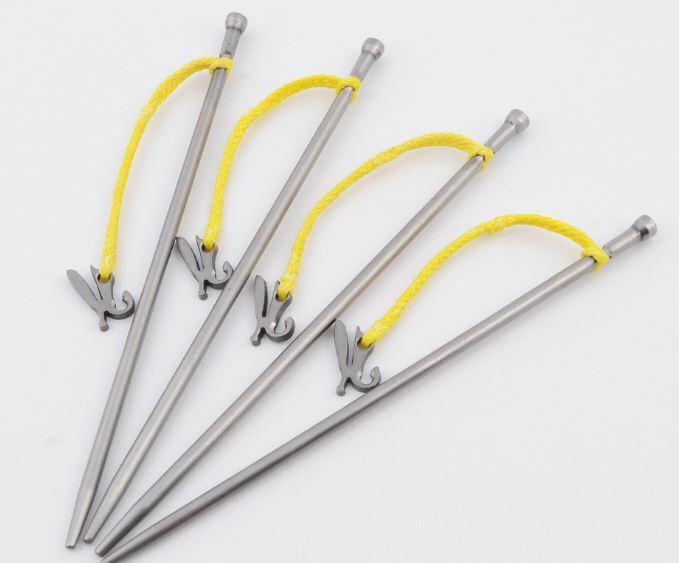 I use 5 of these, one on my S-shaped continuous ridge line (along with a Dutch hook) and the rest on the tie outs on my cuben hex tarpI use 5 of these, one on my S-shaped continuous ridge line (along with a Dutch hook) and the rest on the tie outs on my cuben hex tarp. 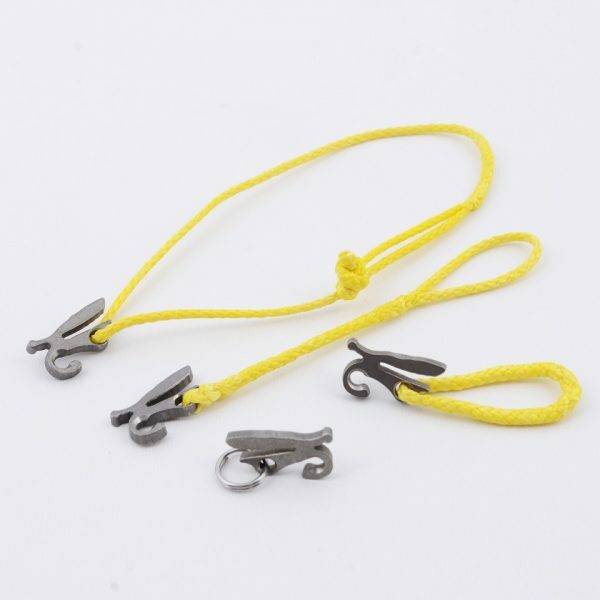 I made the zing-it continuous loops myself, but after cost of material, making the fid tool, and a couple of tries for a nice neat loop, I think the price here would have been well worth having the loops made by Dutchware. 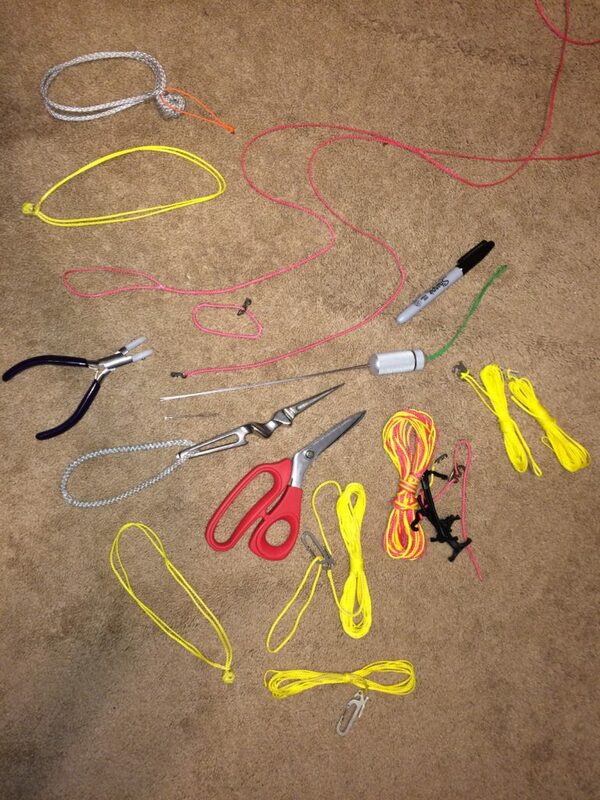 I use the zing-it loops since I read stories of shock cord flinging stakes through cuben fiber tarps. If you tuck the guy line too tightly behind the wing, it is tough to undo, only reason it lost a star. Is this option, attached to the stake, available still? We could do that for you. Please email me at sales@dutchwaregear.com for more details. 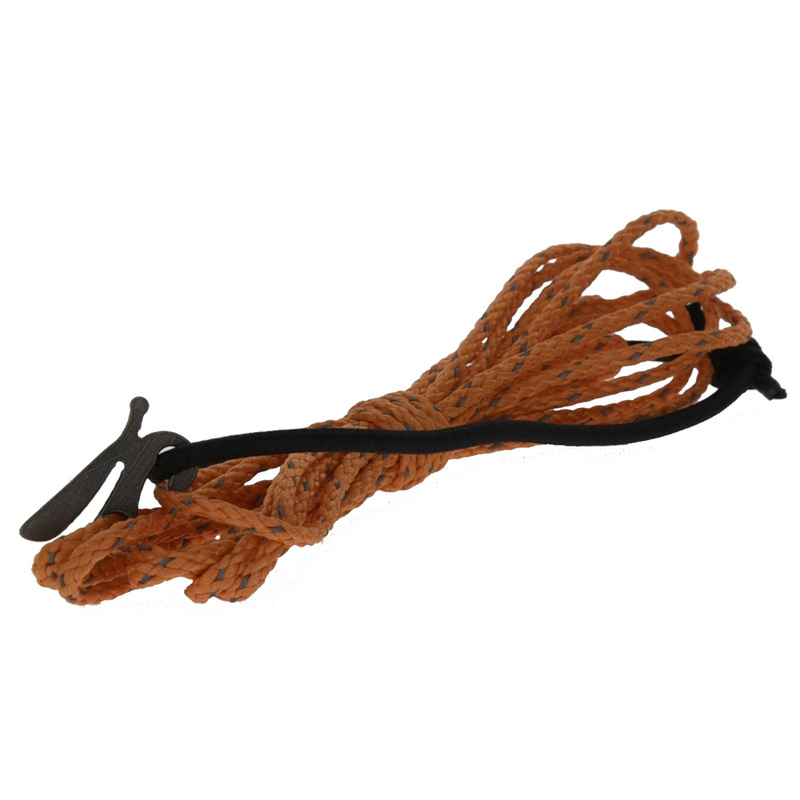 What sizes of line can you use with the fleaz? 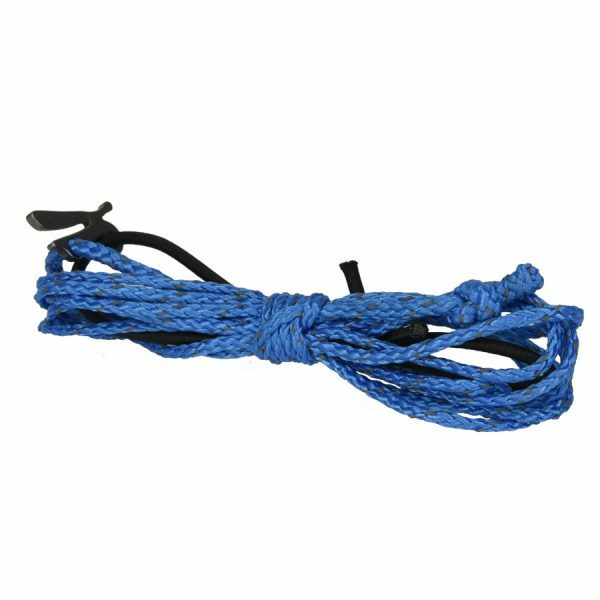 You can use between the 1.75mm and the 2.2mm rope. What is the purpose of the shock cord? 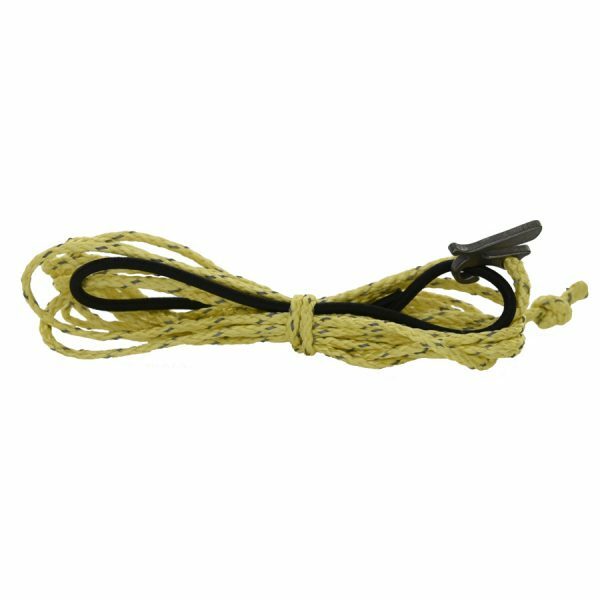 The shock cord will get larks headed onto the d-rings of your tarp for your guy lines. 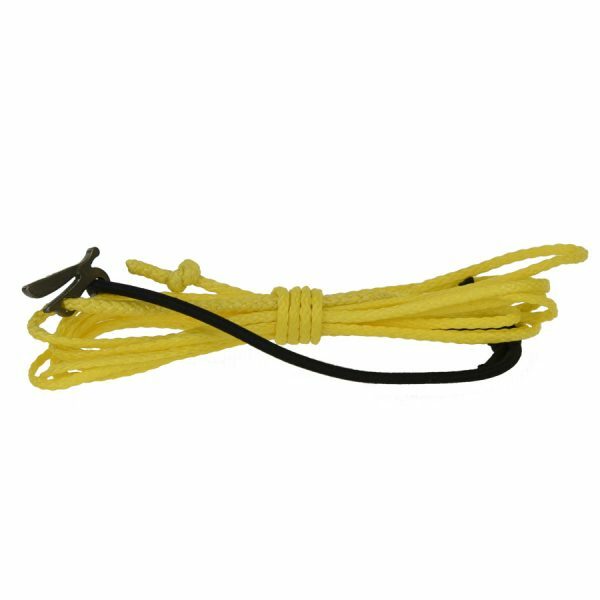 This will be the connection point for you to hook your flea onto and it will also provide some give for adjusting your line or if you trip over your line. I love me some fleaz! I keep thinking of reasons I need more! I use these on my four corner tie outs and have them on 1/8th Shock cord loop. 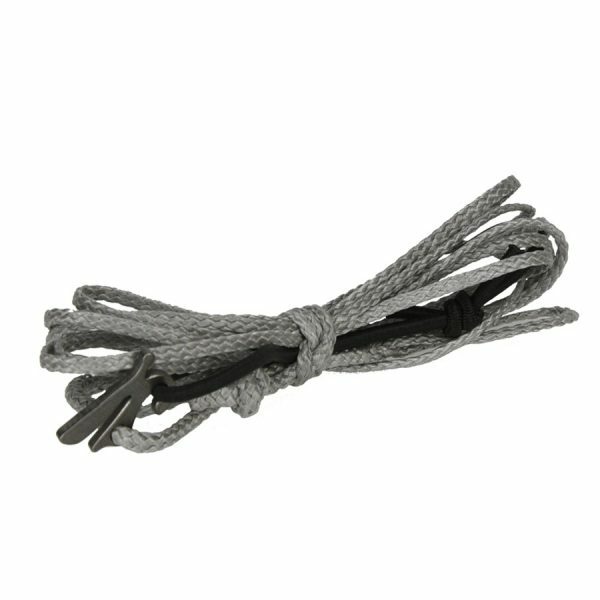 I use these on my four corner tie outs and have them on 1/8th Shock cord loop. They are incredibly light weight and make for easy tensioning and there’s nothing to tie or untie. Amazing attachment point! Highly recommend! 5 out of 5	I like it ! I can tell over time things are improving. 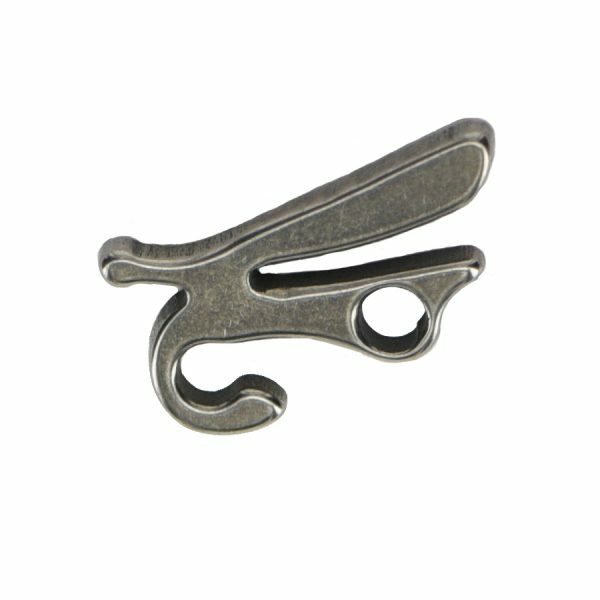 I have older products that are very similar and seem to do the same thing as half of the other products I have bought as far as the titanium pieces go. The difference is they keep getting smaller and lighter and easier to use. So this review is more for all of the dutchwear. In the end I love it all. I love that it has lightened my load tremendously. I love that they are super fast and simple to use. ( minus the bear toggle that I still have no clue as to its usage?) I also love the great service they give when questions arise. They are good people with good products. Thank you for it all old and new. I have also learned a new skill of splicing thanks to y’all. So In a way y’all have made me smarter through your products. Score! When will these be available again? Thanks. We should have them back in stock in about a week and a half. 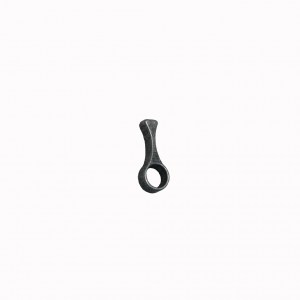 I HAVE THESE ATTACHED TO THE TIE DOWNS ON MY SUPERFLY AND CLARK VERTEX TARP VIA SHOCK CORD. THEY ARE SCARY QUICK TO TIE EVERYTHING DOWN;. I LIKED THEM SO MUCH I ORDERED MORE FOR MY UGQ WINTER DREAM. I got fleaz today and after a quick scratch, immediately installed them on my tarp. I got fleaz today and after a quick scratch, immediately installed them on my tarp. The quality is outstanding! Thank you for providing American made quality at an outstanding price!!! Great Product and Great service…got mine on a collar! How long are the lines that come with the flea if you choose that option?